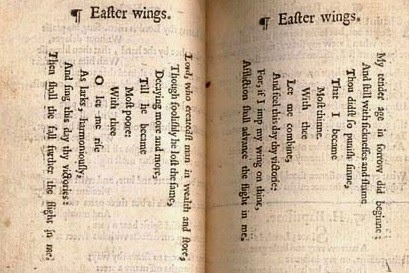 The Font of Knowledge: A forgotten poet. Heart in Pilgrimage – A Study of George Herbert. Jane Falloon, Author House, Milton Keynes, 2007. pp 231. 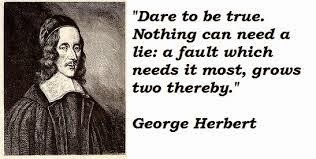 George Herbert was born in 1593 and died in his fortieth year. He came from aristocratic stock and his kinsmen were the Earls of Powis, Lords Herbert of Cherbury in Wales. Through his family and his early position as Orator at Cambridge University he had easy access to the court of King James 1 and subsequently to that of Charles 1. He left a collection of 184 poems which were published after his death. Within the next 80 years 13 editions had been published. They marked him as one of the greatest English poets of the 17th century. Such was the view of many literary critics. Samuel Taylor Coleridge in the 19th century described him as England’s greatest poet and John Ruskin declared him to be his favourite poet. In more recent years, T.S. Eliot and Séamus Heaney were both conscious of his high standing as a poet. Jane Falloon regrets that he is now largely forgotten by the literati of to-day. ‘The name rings muffled bells in some people’s minds’. In a text of about 60 pages she provides a biographical note about Herbert and subsequent pages are devoted to the publication of 24 of her subject’s favourite poems. Each poem is examined and analysed in detail with interpretations which Jane shares with commentaries by previous critics. Your reviewer has few qualifications as a critic of poetry but it is not possible to disagree with the author who is passionate and strenuous in her view that Herbert is one of England’s greatest poets and that his reputation needs to be rehabilitated. In construction and style, his poetry has a distinct sense of modernity. Despite his aristocratic background and his close access to court, Herbert’s deep spirituality, love of God and commitment to His services led him into a life of humility and service to his Church and to his brethren. He eschewed all the temptations of court and the secular life, not without a struggle of mind and the surprised reactions of some of his friends and kinsmen. He became a deacon of the Anglican Church after leaving Cambridge and only went on to ordination and to a modest parish near Salisbury three years before his death. His life was one of personal poverty and of service to others. During Herbert’s short life, one is impressed by the buoyant optimism among Anglicans and the commitment to the Anglican Church at a relatively tranquil time in its history, after the turmoil of the Reformation and before the circumstances which bitterly divided Protestantism in the reign of Charles 1. 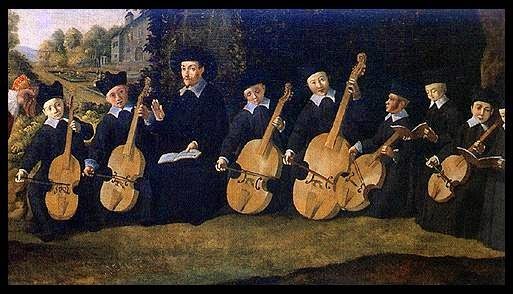 Young boys and their viols. Herbert was a lover of music and sang to his own lute and viol. His love of Cathedral music ‘elevated his soul and was his Heaven on earth’. Despite his deep spirituality and love of God, his poetry is outstanding for its great variety of moods, his humour, humanity and wit. ‘We can revel in his witty use of words; his brilliant variety of metres; his felicity with rhymes’. In his approaches to God he is not without complaints about his own many afflictions and misfortunes but he invariably finishes by expressing his gratitude for God’s goodness. 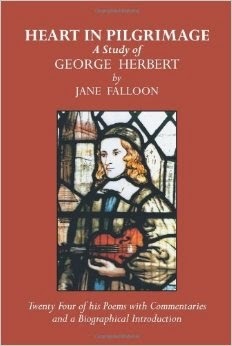 For poets and all those interested in poetry, Jane Falloon provides a fine portal to Herbert’s life and works. His best loved, probably, is "teach me, my God and King"